A sunroom is a wonderful addition to your home. It can be a special place to sit and relax while enjoying the view. 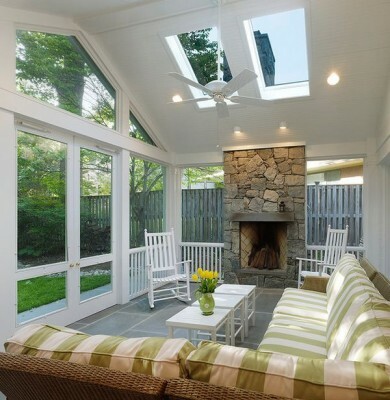 Imagine a room full of light during the day, where you can enjoy the outdoors from the comfort of a sheltered space. You can enjoy meals in this airy space or perhaps you’d like a bright room for a studio. 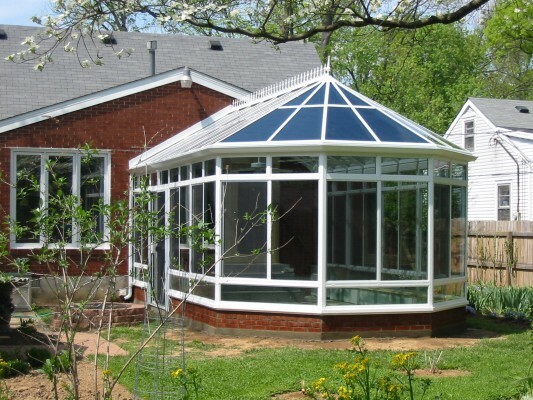 However you plan to use it, a sunroom is a valuable addition to the home. 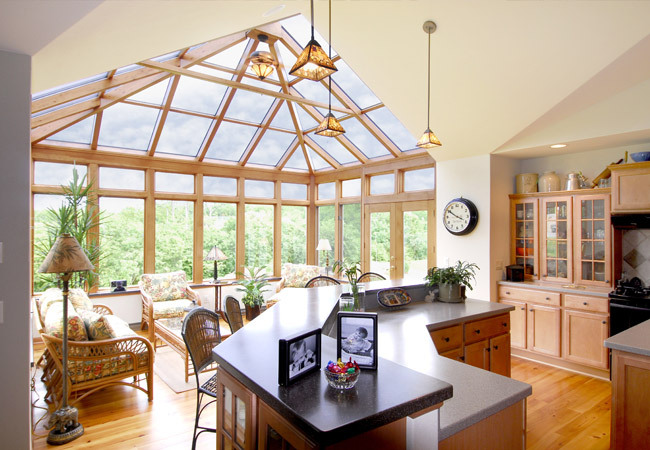 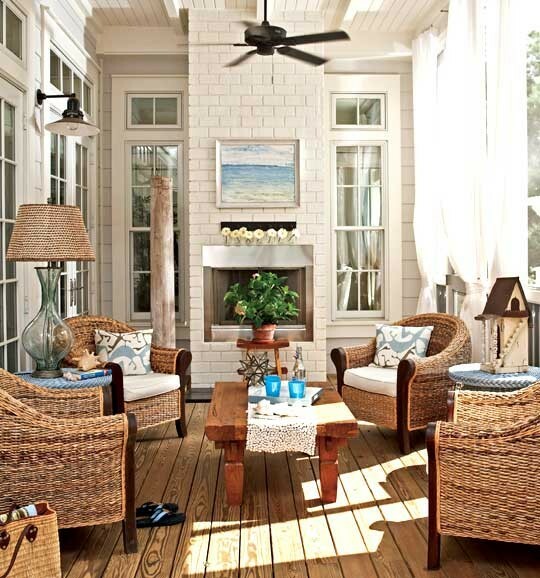 Often the sunroom is an extension to a living room or kitchen. 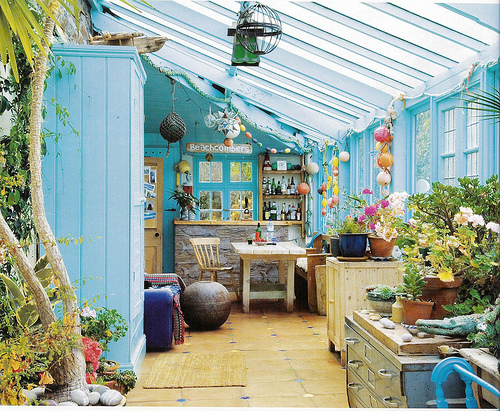 Some are made entirely of glass, and others are simply rooms with walls of windows. The style of sunroom you choose should fit well with the architecture of your home. 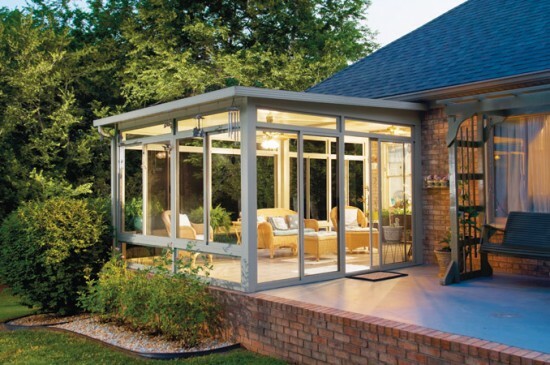 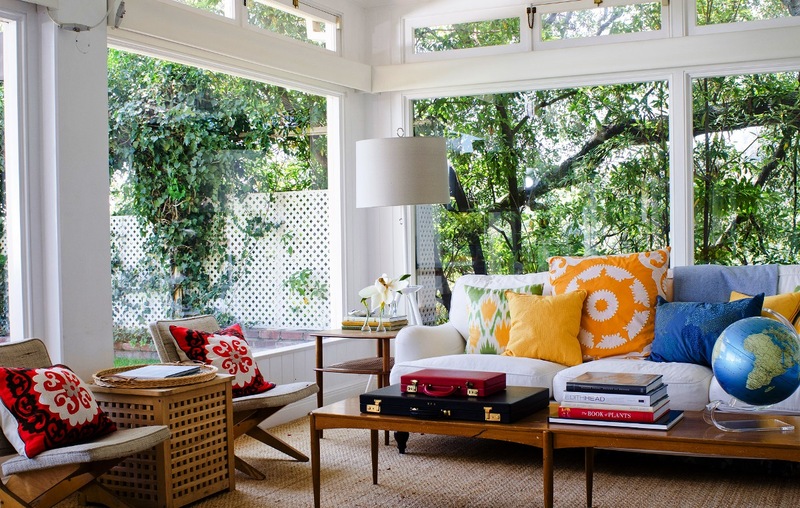 When considering the addition of a sunroom, don’t skimp on windows. 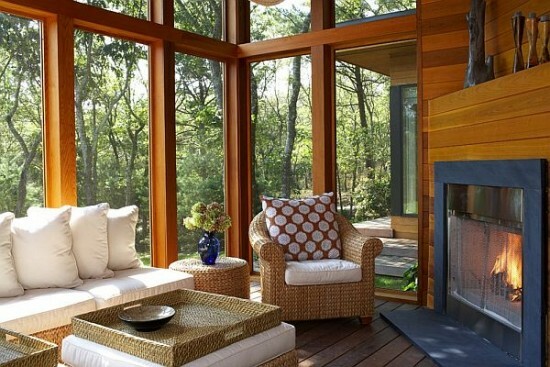 Invest in quality insulated windows that will provide the best insulation year-round. 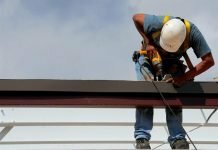 You may want to include a skylight in a sunroom that is not all glass for additional light. To help control the temperature, install a ceiling fan to circulate air throughout the room. 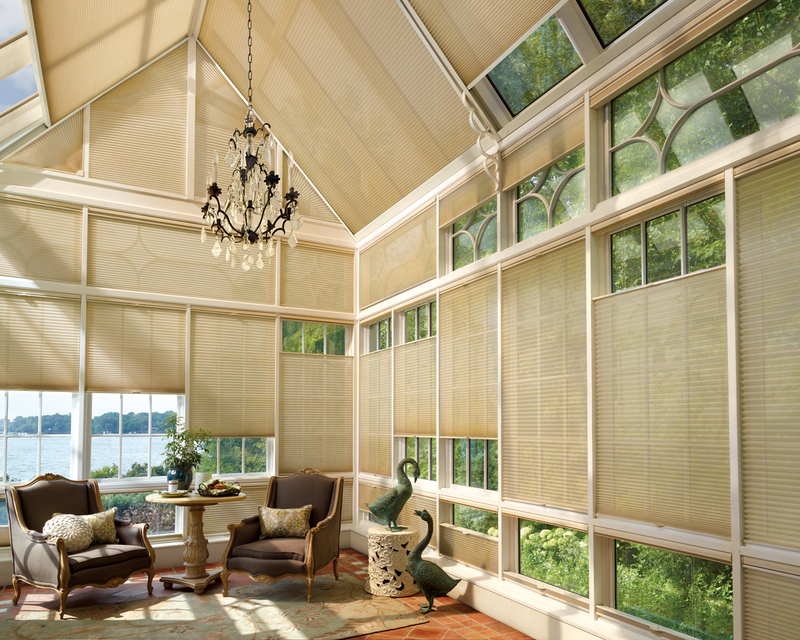 Install shades or blinds to control light and glare, and to provide privacy at night. 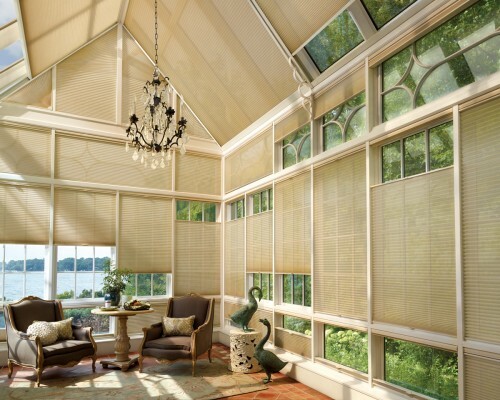 Insulated shades or blinds will keep the room cooler in the summer and warmer in the winter. 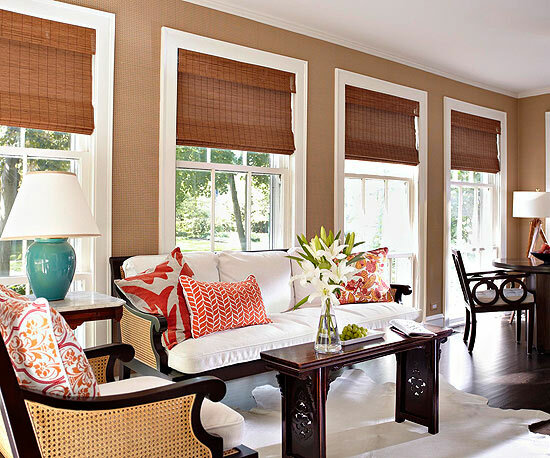 Coordinate window treatments with those in adjoining rooms. The sunroom is an extension of the outdoors into your home. 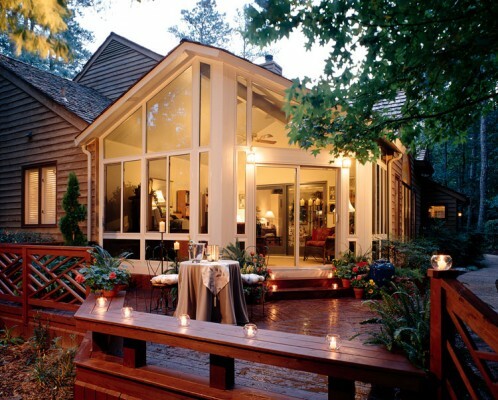 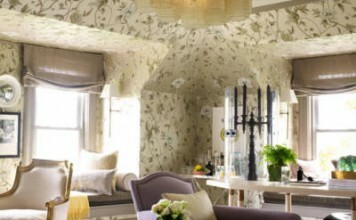 It provides a welcoming space for leisure and dining. 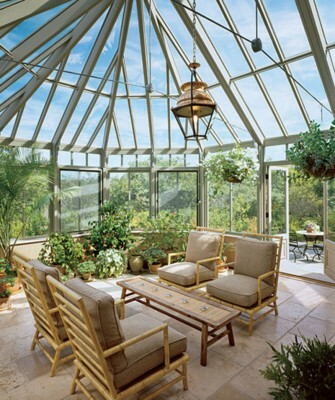 It can serve as an indoor garden or maybe even a home office or studio. 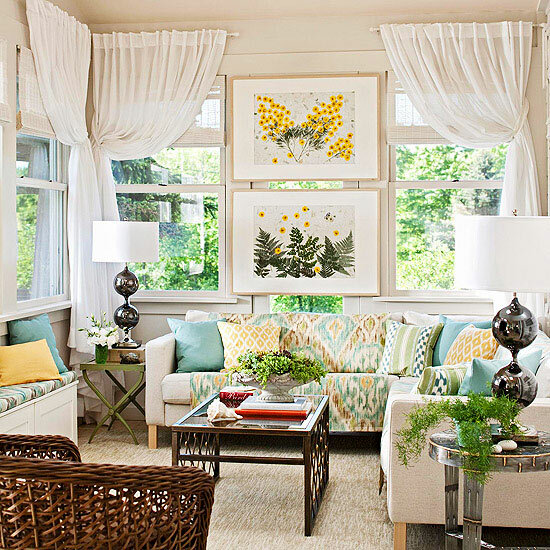 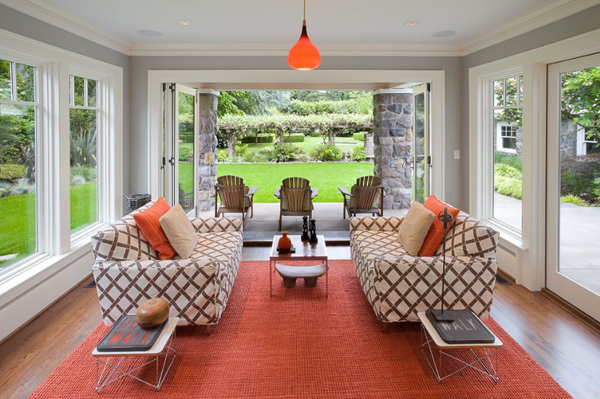 If the sunroom is an extension of your living or family room, keep colors the same to create a nice flow from room to room. 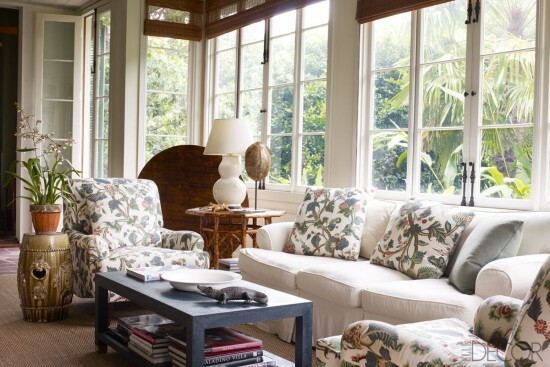 When choosing furnishings, look for fabrics that hold up well under sunlight and extreme conditions. 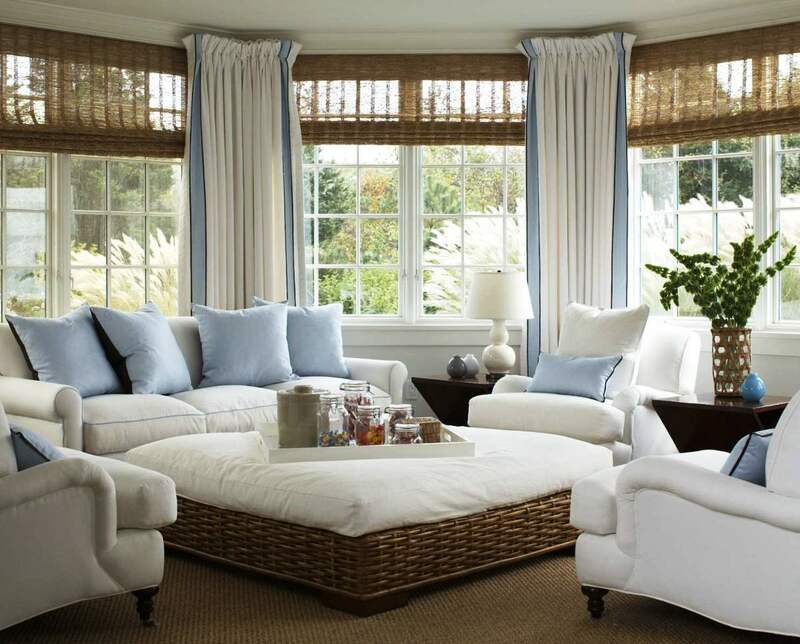 Sunbrella® fabric is an outdoor fabric available in a variety of colors and patterns, making it a great choice for the sunroom. 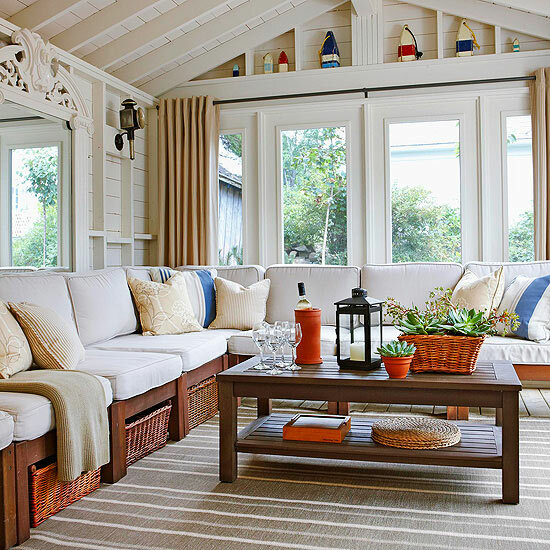 Fill the room with comfortable seating. 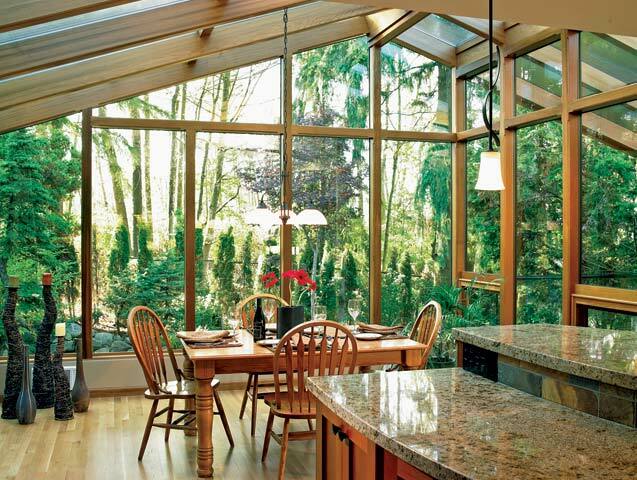 As part of the kitchen, a sunroom is a great place to have meals while enjoying the view. 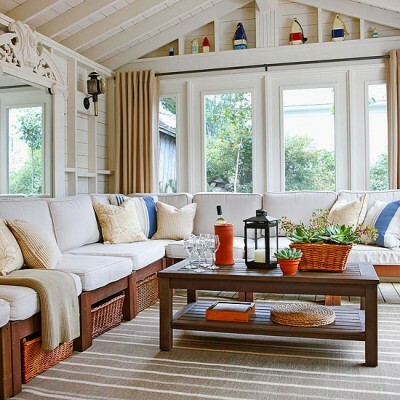 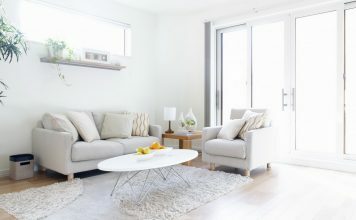 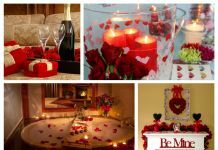 Furnish the room with a table and chairs or built-in seating for added comfort. Imagine family and friends gathered around a large table sharing a meal with a view. 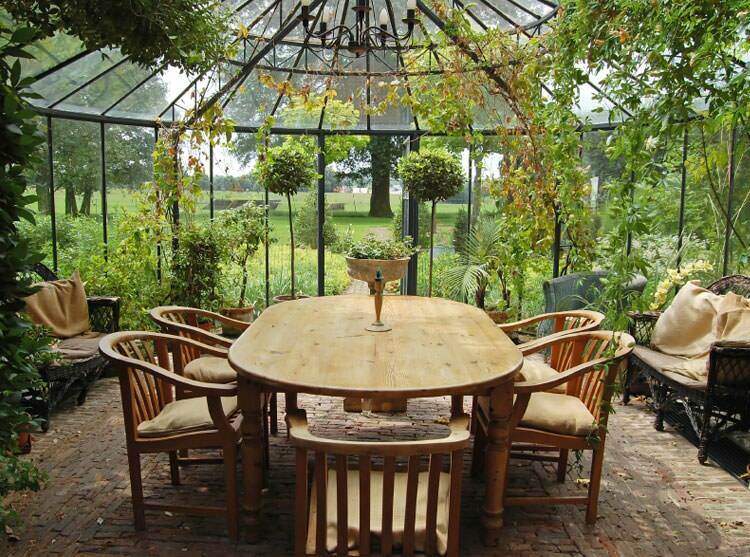 A sunroom is the perfect spot for an indoor garden or greenhouse. Cultivate your green thumb while enjoying the extra space for garden tools. 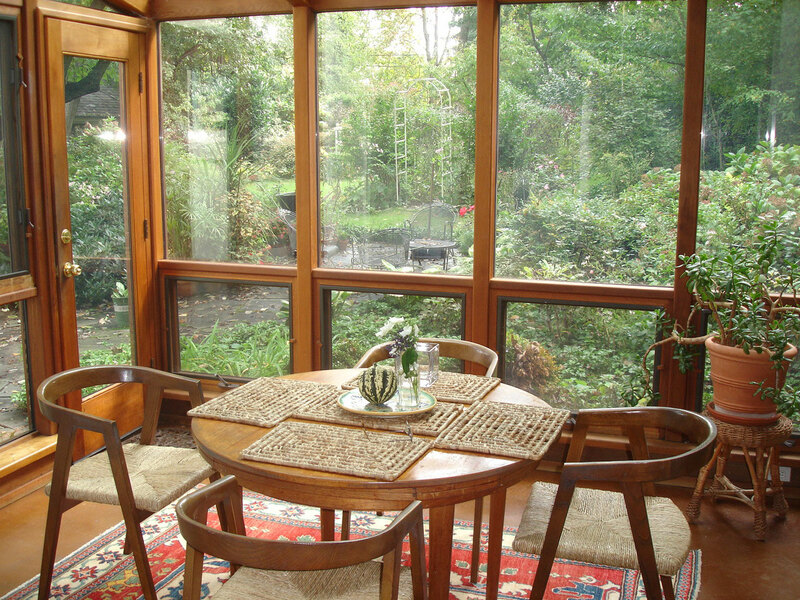 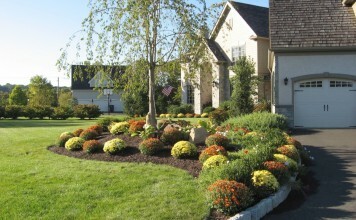 Appreciate the advantages of a year-round garden indoors. The sunroom is not only an asset to your home’s value, but it is a room where you can enjoy the view year-round. 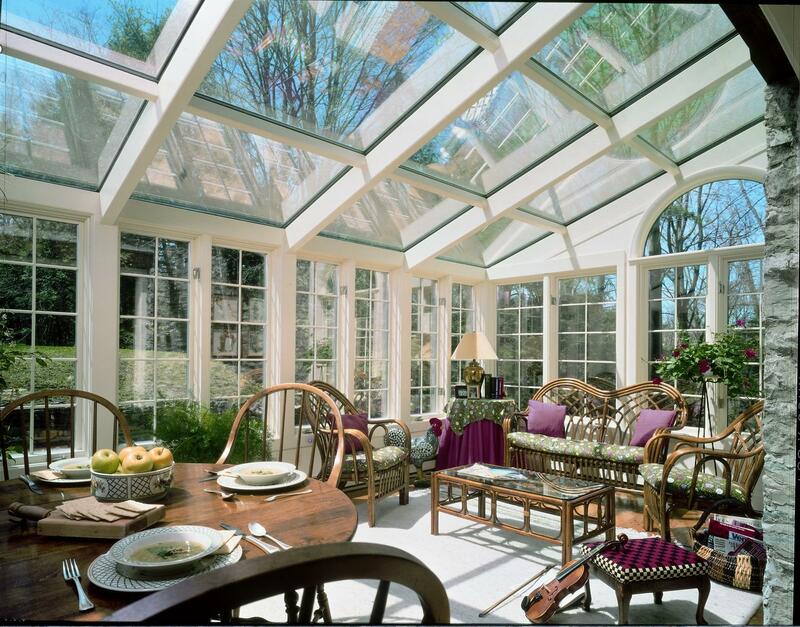 A sunroom is a bright addition to the home and will hold its value by your enjoyment within.